The first mention of Harmon on the internet was a blog post on “Louisville News and Politics” entitled “The Kensington Group Scamming Local Investors?” and a follow-up post “Kensington Group Part 2”. Though the lender names were different in the case, the same stories were being told to the investors. Funds were being raised for investments. The investors were told that Harmon was in Germany, Hong Kong, Singapore and other locales closing their deals. Funding was always imminent, but never forthcoming. There was always one more signature that needed to close the deal. Harmon always referred to his attorney Warren Goss. Interestingly, Goss was named in the Canadian case and was being sued for $100 million. In the Canadian case and in the stories told in the aforementioned blog, small investors are being told their investments will result in large returns. Most of the people allegedly hurt are older, small investors who put their life savings with Harmon and company. The real question is whether Harmon really intended to defraud these people of their money or is he genuinely attempting to enlist investors for legitimate investments. What is clear is that these people have asked for and not received their investments back when asked. Like the businesses previously mentioned, they are likely still left with some small hope that Harmon will actually come through with the deal. And even if they are finally convinced he is a fraud, they are too broke to pursue him legally. The real question is whether there is a connection between the businesses that were seeking funds and the investors Harmon convinced. It is likely that the real targets were the small investors that Harmon, Hingson, MJK and Associates, Fairchild Holdings and Money Center Financial Group all promised huge returns. It is likely that while the businesses which paid fairly large fees were not the target, but instead were the prop Harmon used if the investors asked where their money was being invested. As long as the businesses thought they were going to be rescued they would certainly answer any investor who contacted them that Harmon was real. 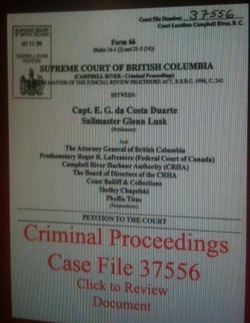 IN BRITISH COLUMBIA Capt de Costa Duarte The corruption in the political administration of British Columbia is so rampant and so vile that it prompted world recognized naval architect,¯ Captain E. G. da Costa Duarte, to blow the whistle on that scandalous mis-use and probable looting of public funds by the Campbell River Harbour Authority . De Costa Duarte first came to public attention as a straight shooting supporter of integrity in government as one of the first persons to blow the whistle on the scandalous waste of hundreds of millions of taxpayers money as part of the BC Fast Ferries Scandal. De Coasta Duarte`s early warnings were ignored and the cheaters, pillagers and plunderers of the public treasury succeeded in looted hundreds of millions of dollars while building useless ferries that Captain de Costa Duarte had identified as useless the very first day he saw the incompetence at the shipyers in Vancouver. crimes to cover up the high level corruption. 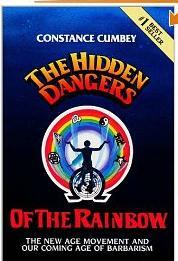 Afraid of a public backlash in Canada, the Canadian and British Columbia governments committed further crimes to cover up the high level corruption. The sudden deaths of eleven (11) Canadian judges, and of, at least, eighteen (18) others all linked to the Water War Crimes brings the revealed death count in the Water War Crimes to twenty nine (29). This is a statistically impossible co-incidence. Twenty nine people, most of whom were potential witnesses or defendants in one explosive lawsuit have suddenly died. It is probable that one or more of them were murdered in order to silence them. Who will be next? Who is doing the killing? The development of substantive international criminal law reflects a relatively recent recognition that individuals, as well as states, are proper subjects of international law. The sourcesof international criminal law, as with international law generally, include: conventional international law (i.e., treaties), customary international law, and general principles of law recognized by the world’s major national legal systems (see Statute of the International Court of Justice, Article 38). Customary international law includes a body of peremptory rules of international law, known as jus cogens (“the compelling law”), from which states may not derogate. International criminal law is derived primarily from international conventions and jus cogens. However, it is not always easy to determine what are crimes under international law. International treaties rarely explicitly declare something to be an international crime, but rather impose certain penal duties on states parties in relation to the conduct in question: criminalization, establishment of certain bases of criminal jurisdiction, prosecution, extradition, and mutual legal assistance.